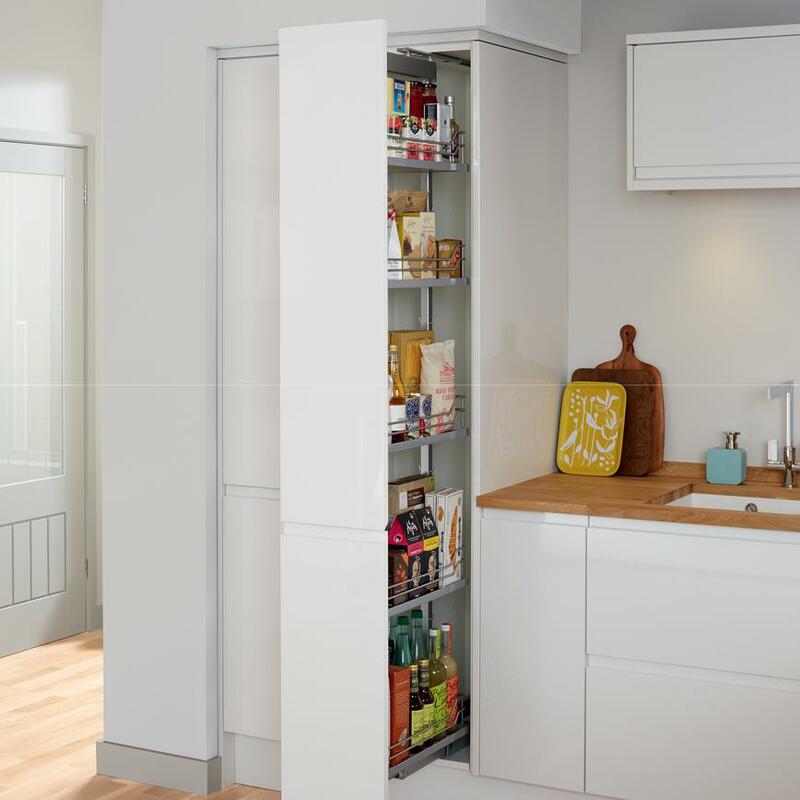 Boost your kitchen’s storage space using our upgrade full-height pull-out larder accessory. With five height-adjustable baskets on soft close rails, this pull-out larder accessory gives you plenty of extra storage. Each basket is finished in brushed steel, features an anti-slip coated base and is capable of carrying up to 18kg of ingredients. Choose between the 300mm or 500mm-width options, ready to be attached to your larder door.